The Delhi High Court had last year rejected the plea by the Gandhi's challenging the I-T notice seeking tax reassessment for the financial year 2011-2012. The reassessment notice for 2011-2012 had been issued by the department in March 2018. UPA Chairperson Sonia Gandhi and Congress president Rahul Gandhi have sought adjournment. 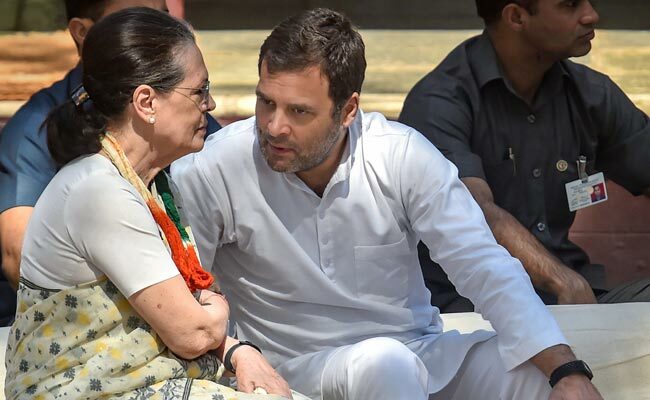 UPA Chairperson Sonia Gandhi and Congress president Rahul Gandhi on Friday sought the adjournment of appeals filed in the Supreme Court challenging the Income Tax department's decision to re-open tax assessment related to the National Herald and Young India transactions. The top court has fixed April 23 as the date of next hearing in the case. The I-T department had told the High Court that the All India Congress Committee had transferred funds to the tune of Rs 99 crore to Associate Journal Ltd, adding that Rahul Gandhi had willfully chosen to not disclose the fact that he held the director's post at Young India. However, Rahul Gandhi's legal counsel asserted that the Congress president did not receive any income from the source, and hence is not liable for any tax. The National Herald scam is an ongoing case filed in 2012 by Bharatiya Janata Party (BJP) leader Subramanian Swamy against Sonia Gandhi, Rahul Gandhi, their companies and associates. In November last year, Rahul Gandhi and Sonia Gandhi stated that the application filed by Subramanian Swamy was not bonafide and that its sole objective was to delay proceedings in a "lifeless case."